A giant project to help relieve water shortages in north China, initially conceived in the 1950s, appears to have moved one step nearer construction. Mr. Wang Chunzheng, vice minister at the State Development Planning Commission, said in a interview with the Financial Times in January that the project would definitely be built. Although there is still debate over the route, the project might yet become a key project under the Tenth Five-Year Plan, covering 2001-05. This announcement was claimed to signal the government's firm commitment to the project after many years of research and several feasibility studies. However, this is not the first public pledge to undertake the project and it remains to be seen if a scheme claimed as the answer to the imbalance in the distribution of China's water resources is finally about to come to fruition. China's annual renewable water resources amount to 2,800bn cubic metres – the same as in Canada, which also has a similar land area. The big difference in the two countries' populations provides very different amounts of water per capita. Canada's 96,400 cubic metres per capita is one of the highest in the world, while China's 2,300 cubic metres puts it in 88th place and equivalent to only 30 percent of the world average volume. To exacerbate matters, China's water is unevenly distributed. North China, which contains Beijing and Tianjin, several oilfields and mining areas, as well as 38 percent of China's arable land, receives only 6.7 percent of the nation's total water run-off. Industrialisation, urbanisation and modern agriculture have greatly increased demand for water across the region. Since 1949 Beijing alone has tripled its population, while industrial water use has grown 31 times and the area of irrigated farmland 23 times. Demand for water has been met by drawing on groundwater, causing falling water tables across the region and subsidence under many cities. In areas of Beijing, the underground water table that provides two-thirds of the city's water fell by 3.47 metres last year. Over the region as a whole, more and more water is being extracted from rivers, leaving many of them dry in spring. Despite these measures, the amount of water supplied still fails to meet demand. There have been many newspaper articles about water rationing, temporary factory closures due to lack of water and shortages of irrigation water for agriculture. International experts have speculated that increasing industrialisation in the region would cause water to be diverted away from agriculture. This has already happened to farmers around Beijing municipality, who reacted by switching from grain to crops that use less water. Extension of this trend across the whole region would lead to big reductions in grain production that China could only make good by increasing its purchases on the international market. Without a commensurate rise in supply, this threatens a shortage of grain for the world's least developed countries. The basic shape of the project to relieve water shortage in north China by transferring a large volume of water from the Yangtze has changed little since its conception in the optimistic atmosphere of the 1950s. The four possible routes were identified by initial survey work in 1959 (see map). The first two involved pumping water into the upper reaches of the Yellow River from dams on the tributaries of the upper Yangtze in Qinghai or Sichuan provinces, and also possibly the Lancang and Nujiang in Yunnan. Together these are called the Western Route. The third, known as the Middle Route, involved a new canal from the Three Gorges Dam on the Yangtze to the Danjiangkou reservoir on the Hanshui River – a tributary of the Yangtze – and then via Zhengzhou in Henan to Beijing. The fourth, or Eastern Route, used the old Grand Canal bed to take water from the lower Yangtze to Tianjin. Any one of the routes would rank among the largest water transfer projects in the world. Both for length and volume, the only existing project on a similar scale is the canal bringing water to Los Angeles. However, Chinese engineers are confident that they can handle the work, and there has been no mention of foreign involvement in the construction, though the bridges of the Middle Route would probably call for innovative designs. Nor would the project require much in the way of advanced equipment, apart from the pumping on the Western and Eastern Routes. Construction of the project has been held up by political rather than technical problems. Since the 1980s, major infrastructure work has had to be financed by both central and local government. At least 40 percent of this project's capital costs would come from the provinces and cities along its route, giving those that will be affected a voice tantamount to a veto in any decisions. At present, this favours the Middle Route since the stakeholders have agreed to a division of financial responsibility. The stakeholders will also have to agree on the division of the water that the scheme would provide. Again, this favours the Middle Route. In the 1980s, when the Eastern Route was being planned, the provinces affected failed to agree shares of the water, with Shandong, Hebei and Tianjin wanting more than Jiangsu felt it could spare. Even after a choice of routes has been made, there remain major difficulties in operating the project. A suitable management structure would have to be established from scratch. It would have to be strong enough to resolve conflicts between the interested parties, not only forming structures capable of handling complex technical, hydrological and engineering problems, but also creating mechanisms to give stakeholders appropriate participation in management. A satisfactory formula for charging users for the water supplied would also have to be worked out. China's current Water Law provides that users must pay for water they receive and that the charges must cover the costs of depreciation, maintenance, management and operation. Consumer resistance has delayed the full implementation of this legislation. Even after two price rises in 1999, water charges in Beijing at Yn1.3 (US$0.15) per cubic metre for domestic users and Yn1.6 for industrial users, are still. By using the bed of the old Grand Canal, the Eastern Route would not require the acquisition of significant land areas nor the displacement of many people. However, widening and deepening the channels would still need the excavation of some 770m cubic metres of spoil. As with the existing channels, it would not be lined with concrete and, except at the Yellow River, it would not be separated physically from other watercourses crossing its path. The existing route is already used in water management systems in Jiangsu province and around Tianjin municipality. To cross the Yellow River, the water would be siphoned 'through a 'new tunnel under the riverbed near Jinan. The other major engineering work would involve pumping water up from the intake at Jiangdu pumping station on the Yangtze to Dongping Lake, just south of the Yellow River, a rise of 40 metres. The channel would be split into 13 levels by locks and water pumped up by electrically-powered pumping stations. A similar system is already, in use to keep enough water in the canal to maintain year-round navigability and supply irrigation water in northern Jiangsu, but pumping capacity would have to be increased nine-fold to transport the volumes of water required for transfer. Average annual power consumption of the completed system has been estimated at 350bn-530bn kilowatt/hours. There would probably also need to be new generating capacity created in the region to provide additional power for the pumps. Once past the Yellow River, gravity would deliver the water to Tianjin. The system would have the capacity to take 30bn cubic metres a year from the Yangtze and pass 8bn cubic metres north of the Yellow River. 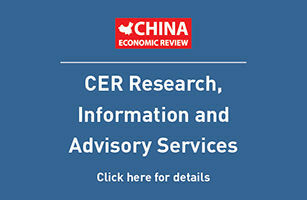 The expected average annual intake is 19bn cubic metres, of which14bn would be supplied to users, 7.5bn to those in areas south of the Yellow River and 6.5bn in areas to its north. The Middle Route would have to be newly built from the Danjiangkou reservoir on the Hanshui River between Hubei and Henan provinces all the way to its destination point just south of Beijing, and on the spur to Tianjin. The height of the dam retaining the reservoir would have to be raised 14 metres to a maximum of 176 metres, increasing its capacity by two-thirds. Some 224,000 people would have to be relocated to make way for the enlargement of the reservoir and an estimated 300,000 for the project as a whole. The route would run along the slopes of the mountains on the western edge of the North China Plain, falling gradually so that no pumping would be required to deliver its 14bn cubic metres of water to Beijing. The concrete-lined channel would travel by bridge or tunnel all watercourses crossing its path, which include the Yellow River near Zhengzhou and 700 smaller rivers and canals. The route crosses a high flood risk area, so special measures would have to be taken to prevent flood waters that might enter the channel from being transported to end users. New bridges and tunnels would also have to be built to take the channel across the many roads and railways in its path. One account describes the channel as resembling an elevated motorway striding across the Chinese countryside. The nature of the terrain through which the route passes also means that it must be protected from landslides. Currently, detailed work is only being conducted on the Middle Route. Last year tests on an 8km trial section of channel near the proposed exit from the reservoir were deemed successful and all surveying and planning work for the route from there to Beijing was complete. The estimated cost of building the scheme was given as Yn54.8bn (US$6.6bn), which would be shared between the Yangtze River Conservancy Commission and the provinces and cities along its route. Construction of the rest of the project is estimated to need six years. The feeder from the Three Gorges reservoir on the Yangtze is planned to be built after the main channel, even though completion of the dam is now only nine years away. Nevertheless, a route for the feeder has been surveyed. This would involve lifting the water 12 metres from the Three Gorges reservoir, from where it could flow downhill to Danjiangkou in a new canal to be built on a circuitous route round the mountains north of the Yangtze. The terrain is more rugged than that further north but there are fewer roads and no railways to be crossed. Less work has been done on the Western Route. The longer version, taking water from the upper Yangtze, has not been considered seriously by the planning office since the 1970s. The technical problems and costs of such an ambitious scheme are considered to be too great for China to consider for the foreseeable future. Subsequent work on the Western Route has concentrated on the shorter version. This has gone through at least three major surveys and route changes, but there are still several more years of preparatory work to be done before construction could start. As currently conceived, it consists of several dams on tributaries of the upper Yangtze, from which water would be pumped through tunnels in the mountains of the watershed to join the Yellow River near its source. The electricity would come from hydroelectric projects further downstream on the Yellow River in Qinghai and Gansu. Even this pared-down version of the route is usually described as being very costly and complicated and only to be considered after the other two schemes have been completed below cost. Water supplied by the transfer scheme would cost several times these amounts – a 1995 report estimated the cost of water from the Middle Route as Yn5 per cubic metre and devising a pricing formula that would both be acceptable to consumers and allow recovery of costs would be very difficult. Planning for the project is done by a management office under the Ministry of Water Resources, which employs around 100 people many of them consulting scientists and engineers. During the 1990s the office produced several studies confirming the desirability of the Middle Route. However, the State Development Planning Commission has responded by deferring decisions and consulting interested parties, leaving the project in a state of uncertainty that the vice-minister's recent announcement has not dispelled. This gave proponents of other routes the opportunity to block any political decision being taken on the project. Supporters of the Middle Route include the project management, Henan and Hebei provinces and the Yangtze River Water Resources Bureau. In favour of the Eastern Route is Shandong province, whose arguments have acquired an extra urgency arising from a reduction in the flow in the Yellow River – the province relies on the river for 40 percent of its water supplies. The Western Route is supported by Qinghai province and the Yellow River Management Bureau. Unlike the Three Gorges Dam, another ambitious project conceived in the 1950s that benefited from the support of former premier Li Peng, the water transfer project has no political champion with enough power to cut through the arguments and force a decision. The Minister of Water Resources, the project's sponsor, carries little clout within the government and since the mid-1990s has been preoccupied with flood-control works. A recent report from the Chinese Academy of Sciences forecast that water demand in China would grow by 60 percent over the next half century and this will have helped enhance the growing awareness of the seriousness of north China's water situation. The vice-minister's statement early in January may indeed signal a willingness within government to push through a decision to proceed with the project. However, a decision taken in China would probably only serve to internationalise the debate. Costs for each of the schemes would be several billion dollars. This would require international aid, and the World Bank's water expert has already indicated that he is not opposed to the scheme. After the controversy surrounding the Three Gorges Dam, any international source of funds would require reassurance on the environmental impact of the scheme and on the fate of people who would have to be moved to make way for new construction. However, research work on these areas has not yet completely satisfied Chinese scientific opinion. More work would probably have to be done on the effects of the reduction in the volume of water in the Yangtze and on the impact on the areas through which the route would pass. In addition, a decision to proceed with the Western Route would raise fears for the safety of dams built in an earthquake zone, while any proposal to draw water from a tributary of the Mekong would bring objections from the riparian countries of Southeast Asia. Thus the talking is likely to go on for some time before any work begins in earnest. However, even if the project goes ahead, it will not, by itself, resolve north China's water problem. The region is currently estimated to require 70bn cubic metres of water a year, greater than the amount that would be supplied by all three routes combined. Measures would still have to be taken to improve agricultural and industrial efficiency, to water recycling and other ways to control the region's aggregate water demand. 1950s – Mao Zedong proposes north China borrows some of south China's surplus water. 1983 – Construction of Eastern Route included in Annual Plan.